Fox and MGM Blu-ray Titles Under $5 at Amazon! A bunch of Blu-ray titles are listed at under $5 at Amazon right now, including Epic, The Heat, Prometheus, WarGames, Rio, We Bought a Zoo, Life of Pi and The Way, Way Back. Marvel X-Men title The Wolverine is under $10 at $9.99, a full 75% off retail price. There are savings on box sets too, with Indiana Jones: The Complete Adventures at only $34.26 and Back to the Future: 25th Anniversary Trilogy at only $25.99. The Veronica Mars movie has been announced for Blu-ray by Warner Home Video, scheduled for a May 6th, 2014 release. The film is a mystery comedy-drama film that was co-written, produced, and directed by Rob Thomas, and co-written with Diane Ruggiero. The story continues on from the UPN/CW television series of the same name, and the film opened both theatrically and on video-on-demand on March 14, 2014. The project drew a lot of attention as one of the most successful Kickstarter campaigns, which was a rare approach for a studio film. The cast for the television show returned to reprise their roles, including Kristen Bell, Jason Dohring, Krysten Ritter, Ryan Hansen, Francis Capra, Percy Daggs III, Chris Lowell and Tina Majorino. The movie was well received by critics with a Rotten Tomatoes score of 77% and an IMDb score of 7.5/10. Veronica Mars went on to earn $3.2M at the US box office. Planned features for the disc include a 1080p video encode presented at 2.40:1, with lossless 5.1 DTS-HD Master Audio. Deleted scenes, gag reel and a collection of featurettes are also planned for inclusion. The retail price is $29.98, and you can pre-order it from Amazon for $14.99, saving 50%! Alternatively you can add it to your Blu-rayStats Wishlist. Veronica Mars (Bell) has put Neptune and her amateur sleuthing days behind her on the eve of graduating law school. While interviewing at high-end law firms, Veronica gets a call from her ex-boyfriend Logan (Dohring) who has been accused of murder. Veronica heads back to Neptune just to help Logan find an attorney, but when things don’t seem right with how Logan’s case is perceived and handled, Veronica finds herself being pulled back into a life she thought she had left behind. Be Ready for Sequels with Star Trek and Iron Man Blu-ray at $9.99! Be ready for the May cinema releases of Iron Man 3 and Star Trek Into Darkness with Star Trek, Iron Man, and Iron Man 2 on Blu-ray for only $9.99 at Amazon! Other great savings at Amazon include 72% off The Sound of Music Collector’s Box Set currently listed for only $24.99. Other titles under $10 include Lawrence of Arabia at $9.99, and Dances with Wolves $7.99. Recent releases at great prices include Prometheus and E.T. The Extra-Terrestrial at $12.99. For Blu-ray 3D you can get The Amazing Spider-Man, Hotel Transylvania, Prometheus and Titanic for only $19.99. Television titles under $20 include Justified: The Complete Third Season, Person of Interest: The Complete First Season, and The Big Bang Theory: The Complete Fifth Season. If you are on a super tight budget, you can get Terminator 2: Judgment Day, When Harry Met Sally or Legally Blonde for only $5.00! 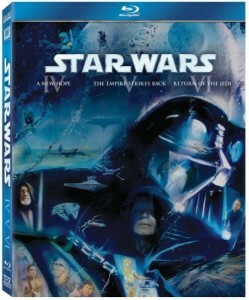 Star Wars Blu-ray Trilogies Only $32.99 at Amazon This Week! Right now the Star Wars Trilogy box sets are over half off at only $32.99 at Amazon. You can choose from the original trilogy or the prequel trilogy, or just get ’em both! This is the Amazon deal of the week, so they should honour the prices until Saturday. 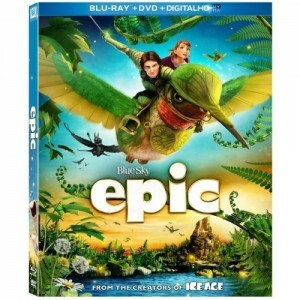 Nonetheless, presently they are both still in stock so if you get in quick you should have your movies in no time! 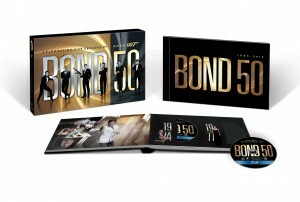 Bond 50 Blu-ray Set More Than Half Off Today at Amazon! Top sale titles at Amazon today include Bond 50: The Complete 22 Film Collection, The Dark Knight Rises, Prometheus 3D, Titanic 3D, Taken, and Beasts of the Southern Wild. Skyfall is the top seller at Amazon at the moment, and you can also get a great deal on the Bond 50 Film Collection – only $129.99 right now – saving 57%. Chris Nolan’s The Dark Knight Rises is only $14.99 – saving 58%. Save 66% off Alien Anthology, currently listed for only $23.99. Get a great deal on The Sound of Music – only $13.99 right now – saving 60%. Rocky: The Undisputed Collection is also a great deal for only $22.99, saving 67%. On the Blu-ray 3D side, both Titanic and Prometheus are only $19.99 right now, saving 60-64%. Pulp Fiction is under $10 at $7.99, 60% off retail price, while Cool Hand Luke is only $4.99, a full 75% off retail price. Casablanca: 70th Anniversary and Taken are also under $10 at $9.99, 60-67% off retail. 50/50, Dances with Wolves, When Harry Met Sally, Red Dawn and Sin City are all only $7.99 right now. And the critically acclaimed Beasts of the Southern Wild is a great deal for only $15.99, saving 60%. Top sale titles at Amazon for Cyber Monday include Captain America: The First Avenger, The Shawshank Redemption, In Time, Hatfields & McCoys, Kill Bill: Volume 1, Homeland: The Complete First Season, The Cabin In The Woods and Prometheus. Captain America: The First Avenger is under $10 at $9.96, a full 75% off retail price, while Iron Man 2 is only $7.96 today. The Last of the Mohicans: Director’s Definitive Cut is also under $10 at $8.99, 55% off retail. Save 71% off Homeland: The Complete First Season, currently listed for only $19.99. Kill Bill: Volume 1, Kill Bill: Volume 2, The Last Samurai and No Country For Old Men are all an amazing $3.99, a massive 80% off!. Save 70% on Prometheus in 3D listed for only $14.99 and the regular Prometheus Blu-ray for only $12.00. The Cabin In The Woods is 75% off at only $9.96, In Time is only $5.99 right now and you can save 66% off Hatfields & McCoys, currently listed for only $18.99. The Shawshank Redemption Digibook is under $10 at $7.99 – 77% off retail. The Sound of Music collector’s edition is an exceptional deal right now for only $19.99, and you can also save 64% off The Amazing Spider-Man, also for only $19.99. Keep an eye on the top bargains panel on the right hand side of the home page which tracks those elusive momentary bargains that Amazon is famous for this time of year! Top sale titles at Amazon this week include the Planet Earth: The Complete BBC Series, Hatfields & McCoys, Chitty Chitty Bang Bang, Thor, Star Trek: The Next Generation Motion Picture Collection, Mission: Impossible-Ghost Protocol and Breaking Bad: The Complete Fourth Season. 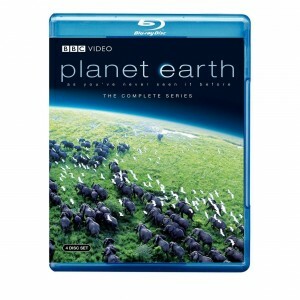 Save 73% off Blu-ray favourite Planet Earth: The Complete BBC Series, currently listed for only $27.49. Also save 67% off the recent release Mission: Impossible-Ghost Protocol, currently listed for only $14.95. Hatfields & McCoys is a great deal right now for only $24.96, saving 55%. Terminator 2: Judgment Day is super cheap at only $5.00, a full 67% off retail price. The War: A Film by Ken Burns is a great deal right now for only $54.99, saving 58%. Save 64% off Star Trek: The Next Generation Motion Picture Collection, currently listed for only $24.96. The Blu-ray 3D version of Hugo and Transformers: Dark of the Moon are great deals right now for only $19.99, saving 64%. Chitty Chitty Bang Bang is under $10 at $7.88, a whole 77% off retail price. Breaking Bad: The Complete Fourth Season is a great deal right now for only $24.99, saving 62%. Save 56% off Thor and Captain America: The First Avenger, currently listed for only $19.99. 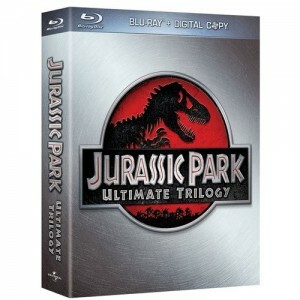 Jurassic Park and Back to the Future Blu-ray Trilogies for $23.99! Top sale titles at Amazon this week include the Jurassic Park Ultimate Trilogy and the Back to the Future: 25th Anniversary Trilogy for only $23.99. This is a great deal at only $8 per movie and a saving 70% off retail. The latest Breaking Bad: The Complete Fourth Season is only $24.99 right now, while Breaking Bad: The Complete First Season is only $12.99. Recent action movies Thor is only $19.96 and Mission: Impossible–Ghost Protocol is only $17.23 right now. Titles under $10 include The Big Lebowski at $9.96, Terminator 2: Judgment Day at $4.93, Pulp Fiction at $7.99 and Fight Club at $9.99. HBO shows on sale include Rome: The Complete Series for only $42.99 and Deadwood: The Complete Series for only $64.99. 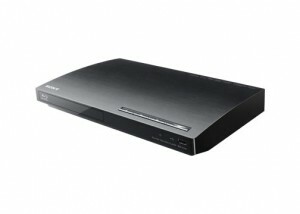 Right now you can save an extra $35 on the Sony refurbished Blu-ray Disc smart Player BDPS185 now only $44.99. Use the coupon code OUTLETPS185 when you check out to get the savings. This is more than a basic player, offering Internet streaming from Netflix, YouTube, Pandora, Hulu Plus and more. The unit also has a front USB slot for playback of music or pictures on a USB thumb drive. Sounds like a pretty tidy player, especially for less than $50! This sale price is valid while stocks last or until June 12th 2012. 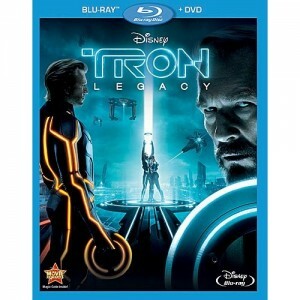 Tron: Legacy he ads up the list of hot sale titles at Amazon this week, listed for only $9.99 – a full 67% off retail price! Amazon also has a number of Fox Blu-ray book titles at 71% off right now for only $9.99. Titles include Tora! Tora! Tora!, The Hustler, All About Eve, Butch Cassidy and the Sundance Kid, An Affair to Remember, The Usual Suspects and Patton. Get a great deal on recent titles like Thor and The Adventures of Tintin for only $19.96, and Hugo for only $19.49. Anime fans should check out Fairy Tail: Part 1, Fairy Tail: Part 2, Fairy Tail: Part 3 and Fairy Tail: Part 4, all currently listed for only $22.49.